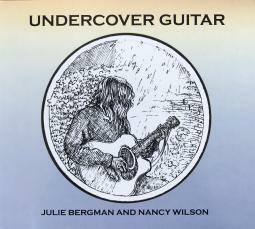 Recently, Julie Bergman worked with longtime friend Nancy Wilson to bring this collection of Julie's instrumental acoustic guitar pieces and their songwriting collaborations to life. Bergman offers up her Irish tinged music musings with some help from Outlander TV series percussionist Bruce Carver and Berklee College of Music's Joe Musella. Three of the songs are performed by Nancy Wilson and uncover the acoustic side of the Rock n' Roll Hall of Famer and a bit of her Irish leanings as well!